The California Ticket Amnesty program is providing millions of Californians with the ability to reinstate their licenses and pay reduced fines. Discover the requirements of this limited time program so that you can get the best discount and get your license back as soon as possible. Losing the ability to drive because of unpaid traffic fines can be devastating. 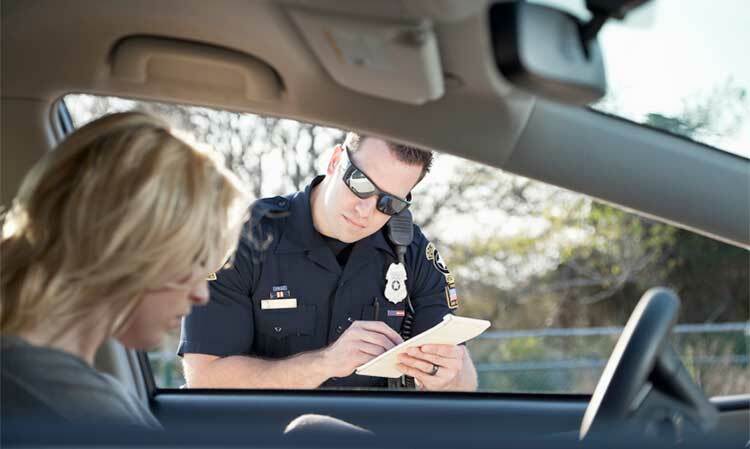 What may have started out as an unpaid fine for a moving violation can quickly skyrocket into thousands of dollars in penalties if not paid on time. This has caused many to lose jobs and be unable to tackle the day-to-day obligations of caring for their families. If you live in California, there is now a glimmer of hope in the form of the state’s new ticket amnesty program. For most, a driver’s license is not a convenience. It is a necessity. Most people don’t live within walking distance of their place of employment, and some do not even live close to public transportation. Losing a driver’s license is equivalent to losing the ability to feed and take care of your family. As people struggle to pay their bills, an expensive ticket can be a hardship that sometimes can’t be weathered. Traffic fines have been going through the roof nationwide, but of particular note in California. Twenty years ago, the fine for running a red light in the state was $103. Today, it can be as much as $490 as the state as added various fees to support different projects. If a person fails to show for their court date, the cost can jump to over $800 and continues to multiply for failure to pay. Before you know it, you may just be able to pay off your ticket if you sold your vehicle. This has been a no-win situation for both the state and it’s suspended drivers for some time. In an effort to bring relief to many citizens who are without licenses and to relieve some of the state’s mounting debt, the Traffic/Infraction Amnesty Program (Senate Bill 85) went into effect on October 1, 2015. It is estimated that there are over 4 million motorists in the state of California who currently have suspended licenses for failing to pay tickets or make appearances in court, and many of these Californians will benefit from this Program. This is an 18-month amnesty period in which those eligible can settle traffic tickets at a deep discount and get an immediate reinstatement of their license. There understandably has been a rush in requests to reinstate licenses in the state, with over 128,000 calls coming through one Los Angeles debt collector’s office alone. As there have been some discrepancies and inconsistencies with how information is given out, your best bet when dealing with this program is to know your rights up front so that you can get the most out of the ticket amnesty program. Here is what you need to know. If you had a ticket and the fines were due by Jan 1, 2013, yet you haven’t made any payments after June 24, 2015, you can get a discount of 50 to 80 percent, and your driver’s license reinstated. If you made a payment after June 24, 2015, you won’t be eligible for a discount on what you owe but you may still be able to get your license reinstated. The type of traffic violation does matter. If you have warrants outstanding or owe restitution to victims, you will not be eligible to participate in this program. Also, any tickets or citations for reckless driving or DUI are not covered. If you are eligible to participate in this program, you won’t have to pay any civil assessments. Payment of the remaining balance depends on your income. If you can certify that you make 125 percent or less than the federal poverty level – $14,712 individual, $30,312 family of four – or that you receive public assistance, you will receive an 80 percent discount. Otherwise, the discount will be 50 percent. To participate in the program, you will need to determine, who is administering the amnesty program in your particular county and contact them. There are installment payment options available, and some are able to get reinstated for as little as $1 per month. After you get your license reinstated through the California traffic amnesty program, you’ll want to be sure to do everything in your power to keep it. Take steps to become the safest driver on the road by learning defensive driving tactics through an online traffic school. If you do get another citation, don’t let it go by the wayside again. Take care of fines and traffic school obligations as soon as possible, whether it be the latest defensive driving course or an online traffic school course. The state is giving you the tools to reinstate your license so be sure to make these programs work for you.